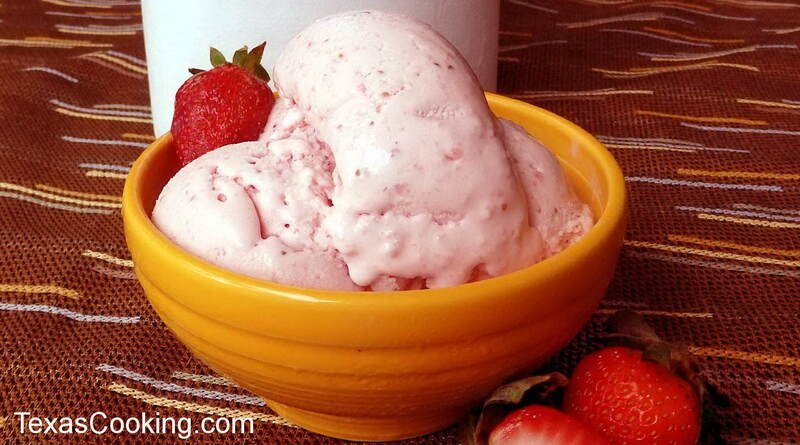 This may very well be the best strawberry ice cream you've ever eaten. It's incredibly rich and creamy and guaranteed not to disappoint. Wash, trim and semi-hull the strawberries; cut the larger ones in half. Transfer strawberries to a blender and puree. Put the purée in a container and refrigerate. Combine 2 cups of the sugar, flour and salt; set aside. Heat milk in top of a double boiler until hot, but not boiling. Add a small amount of the hot milk to the sugar mixture, stirring to make a smooth paste. Then stir sugar mixture back into the remaining milk. Cook, stirring constantly, over medium heat, until slightly thickened. Stir about one-fourth of the hot mixture into the eggs; mix well. Stir the egg mixture back into the hot mixture, and cook, stirring constantly, for 2 minutes. Mix together the strawberry purée, the remaining 2/3 cup sugar, whipping cream and extracts. Stir until sugar is dissolved, then stir mixture into the cooled custard. Pour mixture into the freezer can of a hand-turned or electric ice cream freezer. Freeze according to manufacturer's directions. Note: Ice cream freezer tip: You can freeze the ice cream faster if you use an electric ice crusher to crush the ice. The smaller ice packs better with the rock salt, making it very cold.